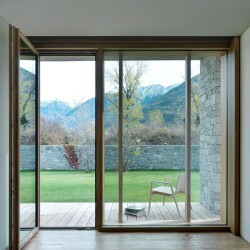 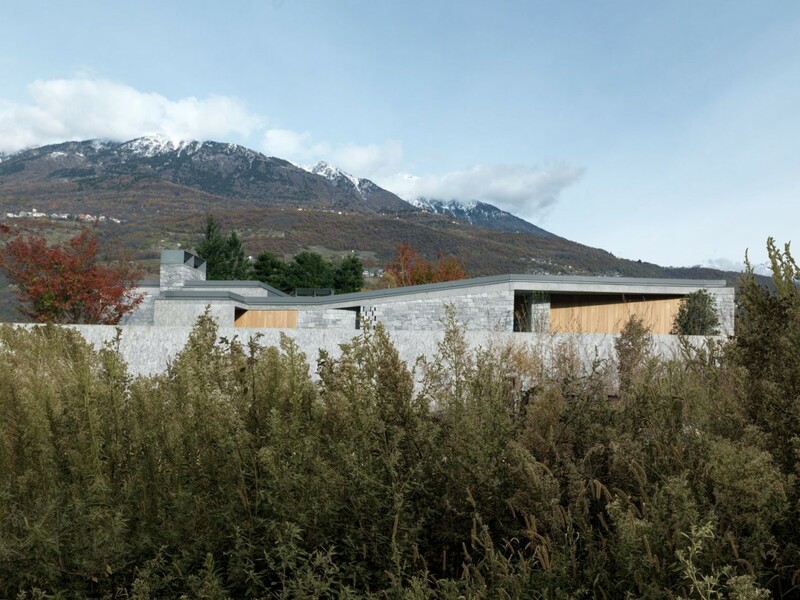 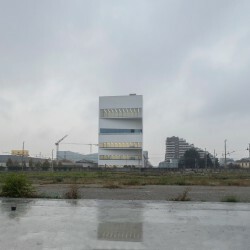 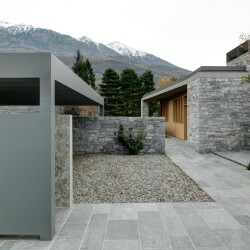 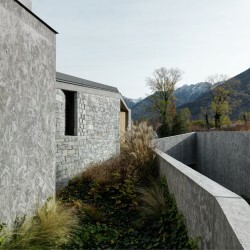 The project site is at the edge of the built area of the village of Regoledo in the municipality of Cosio Valtellina.The site of the house is limited by an area of small “scattered” residences and a large green space called “Prati del Bitto” which extends from the north of the site to the banks of the river Adda. 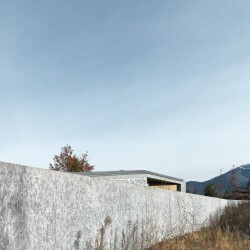 From this demarcation between habited areas and agricultural land, the project is born. 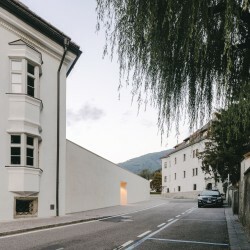 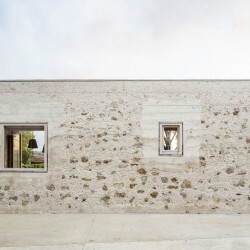 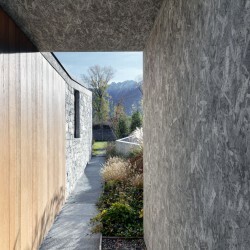 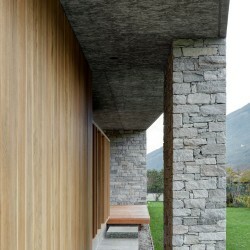 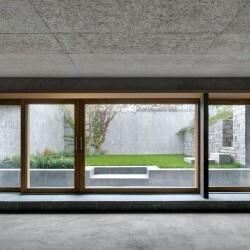 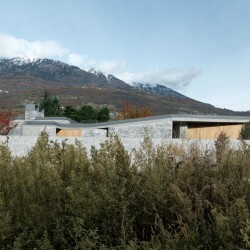 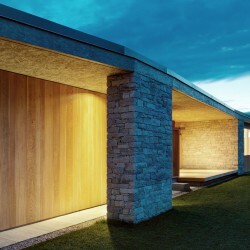 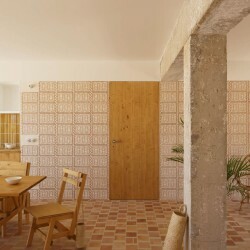 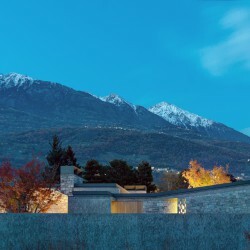 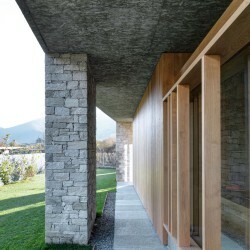 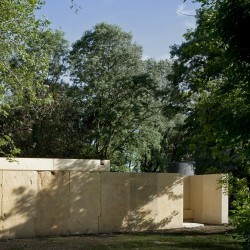 Stone walls and “muracche” even today define the limits of cultivated fields and provided inspiration for the project. 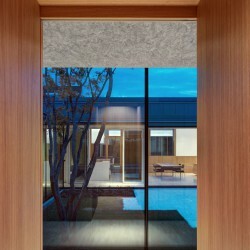 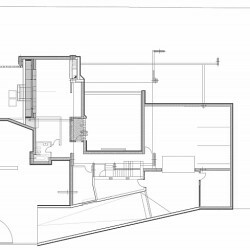 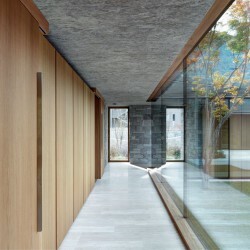 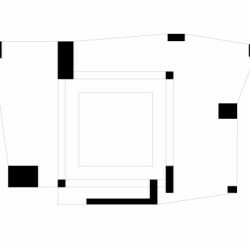 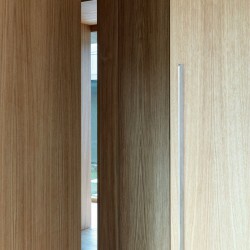 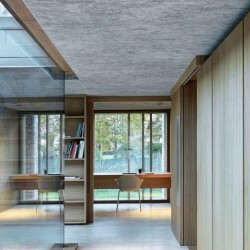 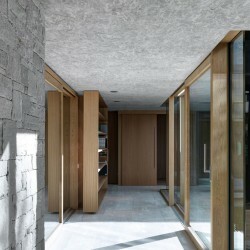 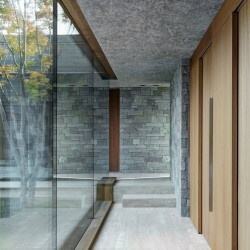 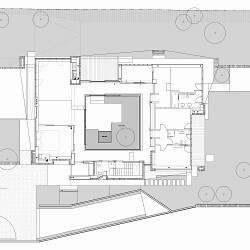 The layout of the rooms in the house, internal and external, create a complex and dynamic “private landscape”. 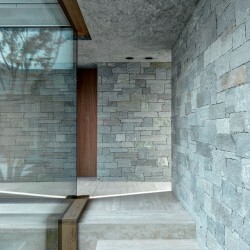 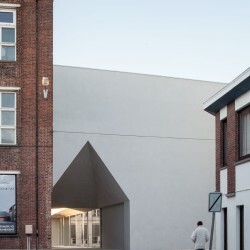 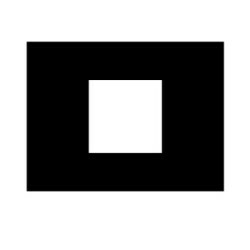 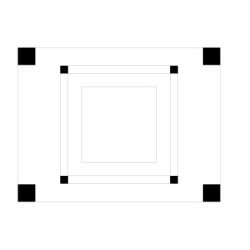 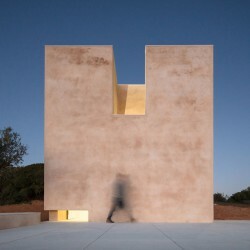 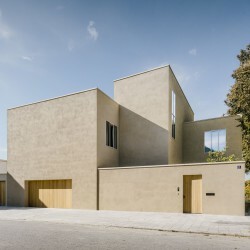 The project is generated from ​​a simple volume rectangular in shape with a patio at the center. 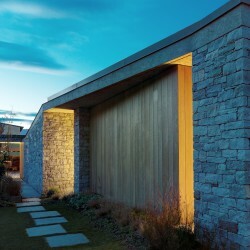 Pillars or wall sections in either stone or concrete support a concrete roof that covers the entire house. 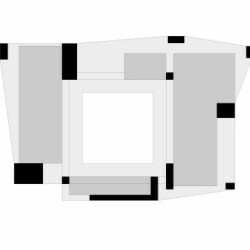 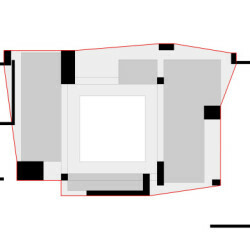 A massive and powerful “table” like structure, under which the habited volumes of the house are organised. 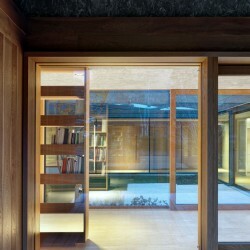 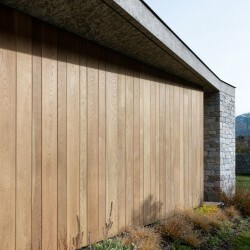 Volumes clad in wood and block materials to give the highest level of insulation.